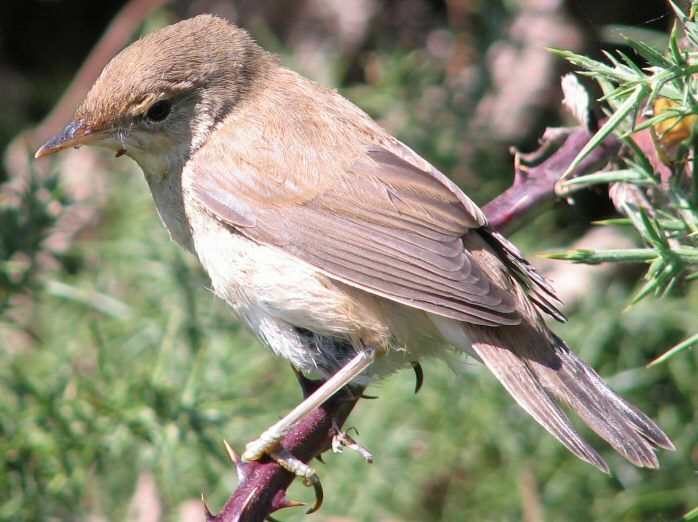 The Garden Warbler is a plain looking bird which spends much of its time in wooded areas, usually deciduous with dense undergrowth for nesting. It is a summer visitor migrating to Africa for the winter. Both sexes are similar as are the young birds. It is a shy, reclusive bird more often heard by its pleasant song than seen. It feeds on insects and berries.